Get a quote for expat health insurance in South Africa. Moving to South Africa? Get a moving quote. Mail Forwarding to South Africa. 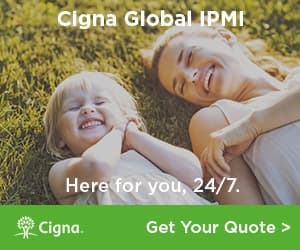 Get a quote for expat health insurance in South Africa from our partner, Cigna Global Health. The reviews of expat life in South Africa are mixed. Some expats feel that crime is a big problem and causing an expat exodus. Others debate that the crime rates match those of other big cities in the world.